Click here to find out how to apply for Anchor Society grants and loans. Click here to find out about our fundraising and view our collections. Click here to learn about our volunteer support and how you can get involved. – The Society will continue to assess those in need, through third party referrers and make individual discretionary grants . It will cease to provide new annuities but continue to support those already in receipt of annuity payments. It will seek to increase the level of grant aid it provides in-line with its financial objectives. – The Society will seek to provide a soft loan facility and consider how this service could be delivered either through the Society’s own resources or in partnership. – The Society will seek to integrate and expand its existing visiting/befriending services with those offered or facilitated by Linkage. – The Society, within its available resources, intends to provide long-term financial support for Linkage to ensure its long-term stability, the continuance of partnership with others and the growth of outreach services available to those in need. – The Society intends to prepare a detailed financial forecast considering the recent and anticipated future receipt of funds from the legacy received from the estate of Joyce Needham Cooper. This is intended to assess the degree of additional funding that would be available to support the growth of outreach services in furtherance of the Society’s aims. – The Society believes that the provision of good quality housing is fundamental to its vision of seeking to improve the lives of elderly people in need and it will seek to continue to pursue the development of small scale sheltered housing schemes that are achievable within the current financial constraints of the Society. – The Society seek to partner in such schemes with local government and/or other social or care or housing providers to deliver an appropriate package that meets the Society’s wider mission. 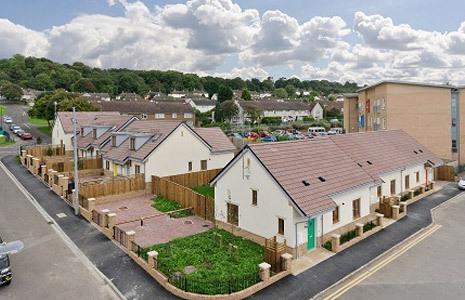 – The Society wishes to pursue the long-term objective of realising the development of an Anchor Care Village concept, providing varied sheltered accommodation in a high quality setting at a much larger scale than its current developments. – The Society seek to pursue the Care Village concept at a time when its reserves could support seed funding or loan costs for such a project. – The Society will seek to “recycle” its investment in sheltered housing through outright sale, sale of partial equity or rental of property it develops. – The Society’s executive will review the membership criteria and benefits with a view to increasing Member numbers and involving Members more closely with the work of the Society. – Membership and donor development should be more closely targeted at younger men and women (under 55). – A communication strategy will be developed to target major donors with a view to asking them to become members, become more involved with the Society and donate in other ways (legacies, corporate & community fundraising). – The Society plan an additional annual event aimed at communicating the work of the Society to a larger audience and engaging potential new members and donors. – The Society will ensure that it always has sufficient liquid assets to meet its commitments at least 12 months ahead and to meet any reasonable, unplanned contingencies. – The Society will continue to pursue opportunities to recycle its charitable investments in financing longer term projects. – The Society will continue to undertake any property development or larger scale financial project via a separate charitable company, limited by guarantee in order to shelter the Society from operational risk and to maximise VAT planning. The Society will be the sole member of this company. – The Society will fund development projects in conjunction with secured funding from external sources and look to provide no more than 30% of the capital cost in cash from its reserves. – The Society will deploy all its financial resources, directly or indirectly in pursuit of its charitable objectives, while retaining adequate reserves. – The Society through its executive and its appointed investment managers will determine an investment strategy and invest surplus funds accordingly. – The Society will reappraise its financial investment strategy on a regular basis (at least every 3 years) and request presentations from its incumbent and two other investment advisers at this review stage. – The Society will maintain appropriate accounting policies and procedures and establish and maintain authorities and mandates to protect against error and fraud. Download our full five year plan document.